Milk and cereal are a breakfast staple. While tasty in its own right, parents can serve other delicious and nutritious breakfast dishes to their kids before sending them off to school. Breakfast is so important because it fuels the body and mind so that children can focus on learning. Whether you send breakfast in their lunchbox or eat it together as a family, your kids will love these quick and easy back to school breakfast recipes. When you're trying to get the kids out the door for school, the last thing you want is to prepare a time consuming breakfast. These breakfast burritos come together in a flash and are a delicious way to jump start your morning. Scrambled eggs are paied with spinach, avocado, black beans, and cheddar cheese before being wrapped tightly in a whole wheat tortilla. Muffins, when paired with fruit, can be a great way to start off the day. 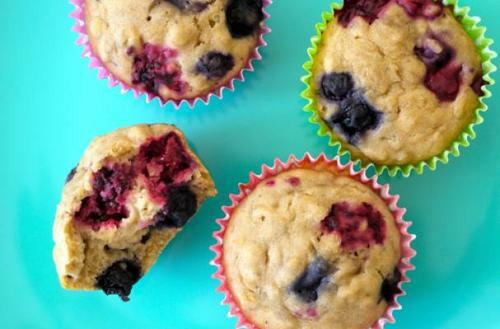 These muffins are prepared with frozen berries so that they can be enjoyed all year long. Also, they are made with both whole wheat flour and rolled oats to give your kids an extra serving of whole grains and a boost of fiber. Quick and easy spinach and egg tartlets have everything your child needs to begin the day - vegetables, protein and carbohydrates. These tartlets are versatile and you can change up the ingredients depending on what's available in your fridge. I like red bell pepper, goat cheese and ham. 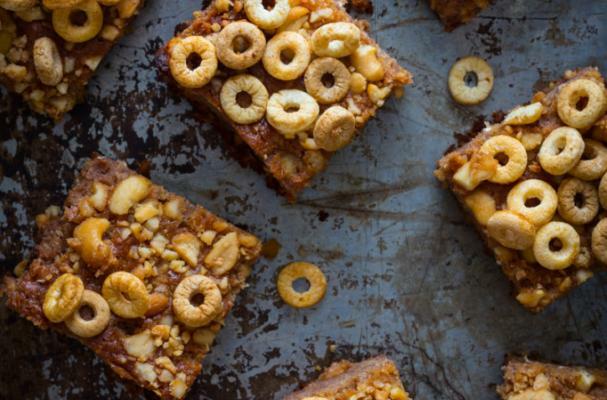 Honey nut cereal bars are packed with nutrition and flavor. 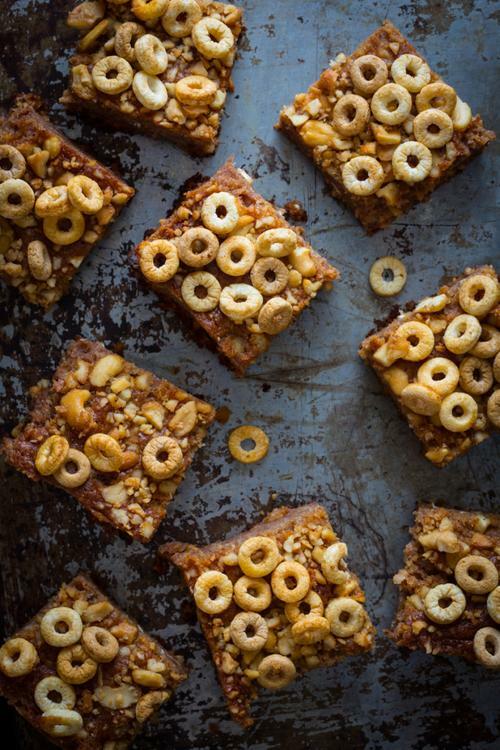 Unlike store bought cereal bars, these homemade ones are all-natural, free from artificial flavors and preservatives. The base of the bars are made from a mixture of dates, honey, and oats while the topping is a generous sprinkling of multi grain cereal.